Programming a new VHF/UHF radio usually proves to be a frustrating experience for most new amateur radio operators. A new radio must first be programmed for simplex and repeater operation before it can be used to communicate with local hams. William Hepburn's Daily Tropospheric Ducting Forecast. MMMonVHF maintains the data for 6m, 2m, 70cm and 23cm bands in collaboration to LA0BY. This site allow display of a beacon map and latest beacon spots. 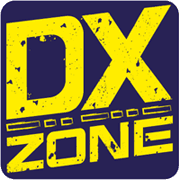 VHF/UHF DX site showing latest propagation, software, radio dealers, awards, maps etc. 49MHz Hobbyists Site - A website and email reflector for hobbyists in the unlicensed 49MHz low-power band. Cloud RF - Web VHF/UHF planning - Web based VHF-UHF RF planning powered by SPLAT! and Google Maps. Access via website, Android App or dynamic Google Earth interface. EI5FK's VHF Ham Radio Website - "Shows who is ""active"" on VHF in EI, Solar Auroral and Tropo information, Vhf logs and maps." G0ISW VHF/UHF DX Homepage - VHF/UHF DX site showing latest propagation, software, radio dealers, awards, maps etc. GM4JJJ VHF and EME pages - GM4JJJ, David with EME on 144 MHz and Astronomy. K3PGP Experimenter's Corner - Covers experimental work from VLF through laser by K3PGP, one of the EME pioneers. LA0BY Stefan - VHF from Scandinavia, EME, Tropo, Aurora and expeditions. Programming VHF/UHF Radios - Programming a new VHF/UHF radio usually proves to be a frustrating experience for most new amateur radio operators. A new radio must first be programmed for simplex and repeater operation before it can be used to communicate with local hams. The Repeater Builder's Technical Information - If you want to build a repeater, this is the right place to start. Includes construction projects and reviews of repeater hardware available in the market. The VHF/UHF DX Book new - Free to download PDF book about operating The VHF/UHF bands written in the early to mid-1990s by a team of experienced VHF/UHF DXers and equipment developers, in an effort to pass on their knowledge and stimulate further developments. Tropospheric Ducting Forecast - William Hepburn's Daily Tropospheric Ducting Forecast. 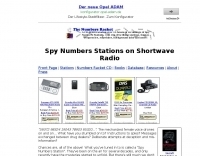 Two Meter FM Simplex - Two meter fm simplex ham radio list. VHF Propagation Maps updated - Experimental maps that show real-time VHF propagation derived from analyzing data gathered from the APRS-IS network. VHF UHF European Beacons - MMMonVHF maintains the data for 6m, 2m, 70cm and 23cm bands in collaboration to LA0BY. This site allow display of a beacon map and latest beacon spots. WA1OUB 50 MHz Es/E/F2 propagation - This page represents 50 MHz Es/E/F2 propagation analysis with Europe and N. Africa to WA1OUB. WB8ERJ Mike - Amateur SSTV from MIR, a 2 meter antenna for bicycles, working the AO-27 satellite portable, and photographs. WSJT/JT44 Forum - Meet users of the new and revolutionary WSJT/JT44 mode, ask for help, arrange skeds, learn how to run JT44 and WSJT. Search only in "VHF UHF"